Aristotelis “Telly” Savalas was born on January 21st 1922. Before his movie career, Savalas was an actor on TV shows during the late 1950s and the 1960s before landing the iconic part of Kojak in the TV series of the same name. The show was cancelled due to low ratings in 1978 however Telly Savalas reprised the role in a number of subsequent Kojak movies. He died on 22nd January 1994. Oh, and did we mention that Jennifer Aniston is Telly Savalas' god-daughter? Who loves ya, baby! To download and save this autograph of Telly Savalas simply place your cursor over the autograph and right click on your mouse, then download it onto your hard drive! 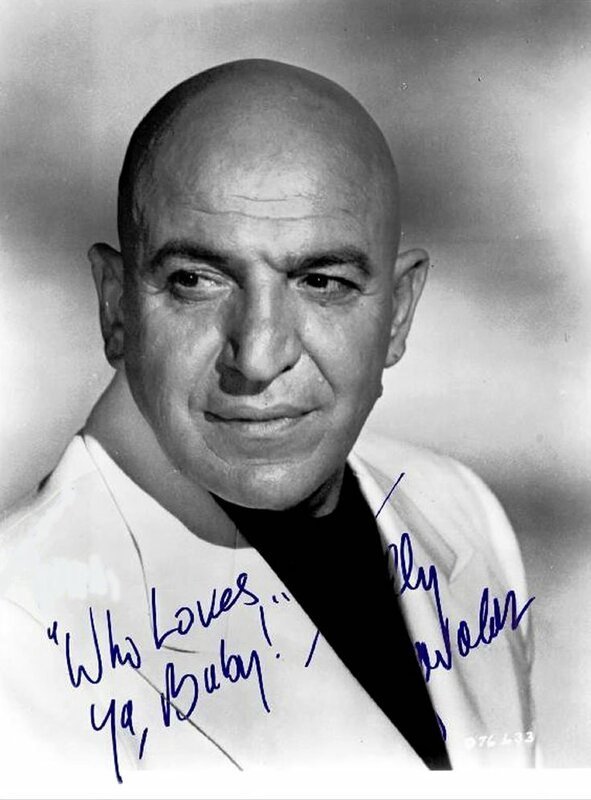 To download and save this celebrity autograph of Telly Savalas simply place your cursor over the celebrity autograph and right click on your mouse, then download the celebrity Telly Savalas autograph onto your hard drive!